It's because I think too much: Say, It's Spring! I think the weather finally caught up with the calendar; it's finally starting to feel like spring! That means I get to break out all my shorts for the first time since last summer. I very nearly walked out the door wearing a sleeveless trench with the shorts, but decided it wouldn't be warm enough in the office for bare arms. So last minute I swapped the trench out for this anorak and, I've gotta say, I quite like how it all came together. 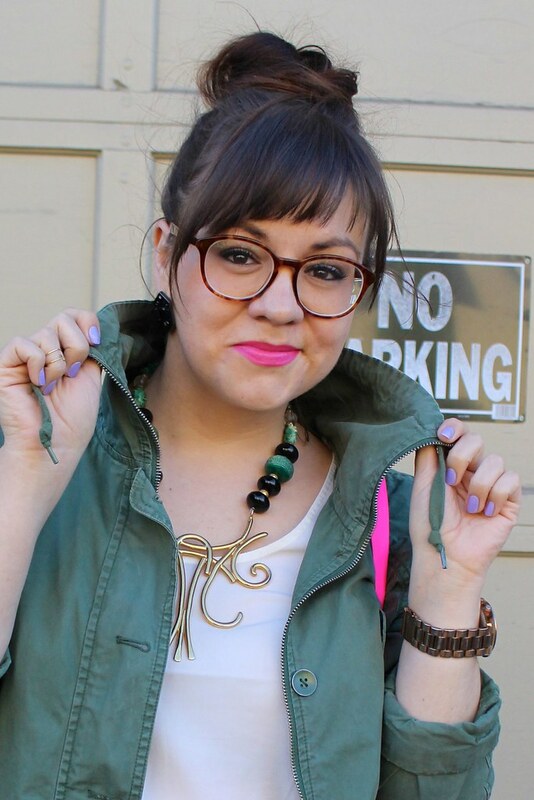 Especially the way my new Moxie lipstick matches my satchel! Love this outfit!! 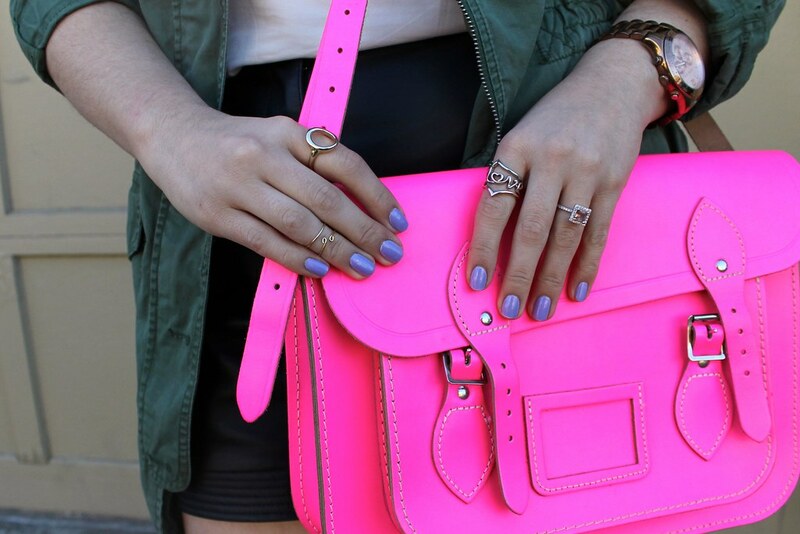 Great pop of color with the pink satchel!